Study the Science of Plants.The course contains the basis of plant science, and is an introduction to plant physiology and taxonomy, covering general botany including morphology and anatomy. The Certificate in Horticulture (nature park management) is a vocationally oriented and IARC accredited course comprising both studies in both general horticulture and in nature park management. Our Self Sufficiency courses provide an exciting learning experience while providing you with the skills to develop a master site plan not only for yourself, but your clients as well. This course follows on from Marine studies I, extending your knowledge of a wide variety of marine organisms. It works through many types of marine organisms, focusing mostly on those not covered as thoroughly in Marine Studies I (This includes: Protists, Sponges, Marine plants, Cnidarians, Worms, Arthropods, Molluscs, Echinoderms, Non Bony Fish, Selected Bony Fish and selected Marine Mammals). Professional Development for people working in parks management, land rehabilitation, conservation or related industries. This course is equally valuable for people wishing to work in nature parks and reserves, in managerial or technical positions. Our Ornithology & Birdlife course caters to the professional and amateur ornithologists. Get your FREE Ornithology Course Info Pack today. Would you like to care and manage parks, natural parks, holiday and recreation resort facilities? Then this is the course to do. This course provides training for people to work in the management and development of recreation and park facilities and services. It is relevant to all types of situations including municipal parks, national parks, tourist parks, commercial landscapes, resorts, etc. GAIN AN UNDERSTANDING OF ELECTRICITY AND ALTERNATIVE ENERGYLearn to become less reliant on the electricity and gas companies and save money through alternative energy sources. Gain the foundation knowledge and skills you will need to start your career in captive animal management. This course is suitable for those already working with captive animals or those wishing to gain entry into this competitive area. Australia concentrates some of the world's most unique species of plants and animals, making it the perfect location for environmentalists and wildlife experts, and now you can join their ranks by taking the required courses in one of the many specialties Learning Cloud can offer. Learning about plants and animals native to Australia is the perfect way to manage potentially harmful threats that are imported from abroad in many different ways, as well as determine the actions that need to be carried out to prevent the extinction or eradication of protected species. Learning about wildlife and the resources they consume, will allow you to assist in the management of different aspects of their reproduction and growth, together with the planning and design of protected areas where individual species can thrive and fulfil their natural cycle. Some jobs available to those with a diploma in online environment and wildlife sciences are as zoo keepers, plant and animal health inspectors, naturalists, environmentalists, and much more, and Learning Cloud has the course you need to set out on the path of excellence and the job of your dreams. 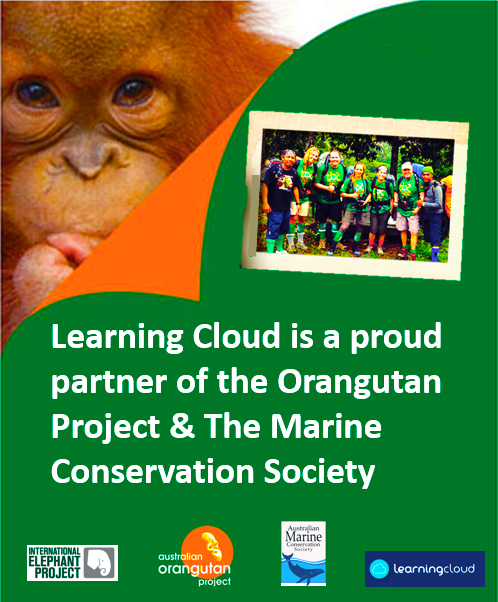 At Learning Cloud we will take your love for the environment and light a passionate fire that will allow you to perform at the highest level in the care of plants and animals. We will provide an enthusiastic environment where we will propel your thirst for knowledge and bring out your natural talents to achieve the drive you require to excel in a field that is as vast as the Australian Outback. The teaching methods we apply at Learning Cloud are in no way similar to those of traditional schools, where boring lectures and dull teachers can make learning an arduous experience. We are enthusiastic and as passionate about our courses as you are, and we strive to make your learning experience one you will never forget. Our course trainers are highly zealous and they will teach you how to question everything you read. They will push you and inspire you to maintain your motivation with every step you take. The structure and status quo of traditional learning has been left behind and we will take you into the future by showing you how to eliminate all the distractions blocking your way and staying focused on your goals and your dreams. Learning Cloud is all about absorbing a new manner of achieving your goals, we teach you how to think big, how to assume the responsibility of your success, and above all to say Yes I Can! In such a manner that when your courses are finally complete, we are absolutely certain that job offerings will come looking for you instead of the other way around. Because learning is not a tedious chore any longer, Learning Cloud is the best road for you!